In this July 17, 2017, file photo, Anthony Bourdain attends "An Inconvenient Sequel: Truth To Power" New York screening at the Whitby Hotel in New York City. Bourdain died earlier this month. Anthony Bourdain drank significantly the evening before his death, a local French prosecutor told NBC. Christian de Rocquigny, the prosecutor investigating the celebrity chef's death, would not disclose the amount of alcohol, but said there were signs he had drank significantly the night before he died. He added that there were no narcotics in his body; only a "therapeutic dose" of a nonnarcotic medication. He would not disclose the name of the medication. De Rocquigny said there were signs of a "repas arrosé," a French term typically translated as a "boozy dinner." He said "it remains likely" that Bourdain had "a high consumption" of alcohol the night before his death. He has already said that Bourdain's death did not seem suspicious, and added that there was no indication that his previous findings had changed. Bourdain, 61, died earlier this month in France. CNN, whom he worked for on his "Parts Unknown" series, said the cause of death was suicide. 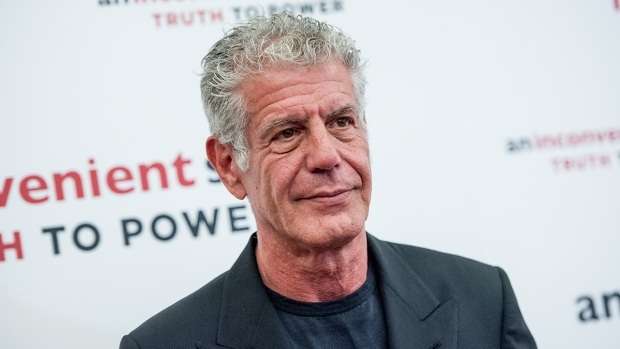 "His love of great adventure, new friends, fine food and drink and the remarkable stories of the world made him a unique storyteller," CNN said in a statement at the time. "His talents never ceased to amaze us and we will miss him very much. Our thoughts and prayers are with his daughter and family at this incredibly difficult time." At the time of his death, Bourdain had been in Strasbourg, France filming for "Parts Unknown." The last episode of the series was aired by CNN on Sunday, June 24. CNN convened a town hall on suicide that aired Sunday night as well.